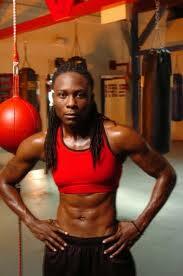 An interview with Chevelle Hallback, women’s boxing champion for the ages! Chevelle “Fists of Steel” Hallback first laced up the gloves in 1996. Given that women’s boxing didn’t have many amateur boxing opportunities, she dove right in and fought her first professional fight less than a year later in 1997, earning her first win against Connie Plosser. Hallback has fought continuously since then with an impressive 28-8-2 (11 KOs) record. On March 2, 2012, Chevelle Hallback will do it again, fighting a rematch against Terri “The Road Warrior” Blair (11-15-3, 6 KOs) at the Civic Center in Tampa, Florida. In a year of firsts, this will be the first female main event boxing match in the state of Florida, an honor bestowed on Hallback in her first fight fought at home since she began her professional career! Girlboxing had the opportunity to speak with Chevelle Hallback who graciously took time from her training schedule to talk about her upcoming bout, her career and her hopes and dreams for the future. 1. You have a fantastic rematch coming up on March 2nd against Terri “The Road Warrior” Blair, what can you tell Girlboxing readers about this fight? This is going to be a great fight! This is our second time meeting and when I say her name speaks for itself, I mean she is a warrior. She’s been in there with everyone that is a somebody in boxing. I don’t think her record really speaks for her [11-15-3, 6 KOs] because she is an amazing fighter. The truth is, she got the short end of the stick in most of her fights. Our first fight [in 2007] was a hell of a fight. It was a tough fight. I came out with a win [78-74, 79-73, 77-75, 8×2], but it was a close fight. With the upcoming bout, the first time I’m fighting at home, history is being made. The first time a female fight will be the main event on a boxing card in Florida. I can’t ask for anything more. I’m just excited about it and grateful! 2. When you fought Blair in 2007, you were quoted as saying, “It was rough. She never hurt me in the fight, but after the fight, those body shots she landed bruised my ribs.” What are you looking for in your rematch with Blair? She is a “come get you”, “come right at you” style fighter, but I train for everything. I’ve found through experience that when you think a fighter’s going to come straight at you and you train just for that, they may switch it up on you fight night. To prepare myself whatever they may bring, I fight for all different styles. I don’t know what Blair’s going to do this time around, so I’m training for each and every style of boxing that you can think of. 3. Your last two fights were in Europe against Miriam Lamare and Cecilia Braekhus, both great fighters in the female light welterweight division. You’ve made it known that you are itching to have a rematch against Miriam Lamare after a controversial loss in November of last year. How is that going? I want a rematch with both, to be honest with you. Right now, I’m starting out with Miriam Lamare, I really, really believe that I got robbed in that fight. I really believe that I beat her hands down. The Braekhus fight, it could have gone either way. I’m going after Lamare first. I personally asked her for a rematch, but I haven’t had any feedback. After the fight my boxing advisor asked the matchmaker of the fight could we have a rematch and he was like, “no,” at the time. 4. Can you tell our Girlboxing readers a bit about your boxing career. I started training on March 20th 1996 to be exact when I first went into a boxing gym, and I turned pro in 1997, I think it was February of 1997. I’ve been doing this for a long time. I don’t have an amateur background. 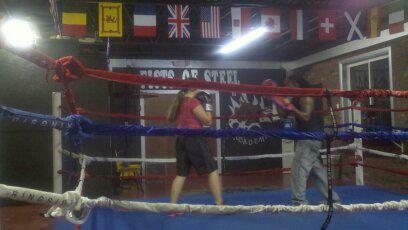 I never fought any amateur bouts at all so it was on-the-job training! But I progressed fast. I am a student of the game and I used to study fighters like Roy Jones, Jr. and old fighters like Sugar Ray Robinson. I wanted to fight like them. Fighters that had awkward and unique styles. I’ve been boxing for a long time, but I never took any serious damage during my career and I thank God for that. 5. What are your goals after you’re upcoming match against Terri Blair? 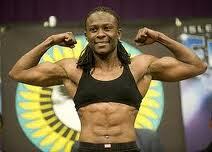 It’s been a long time, but my goal and my dream is to be the first woman to fight on HBO. 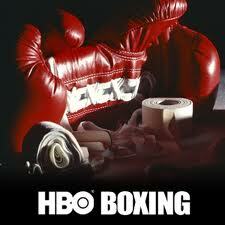 There’s never been a women’s bout on HBO, not even Laila Ali. That’s my goal. I’m going to keep going till either one of two things happen: I reach the goal or my body tells me it’s time to quit. Right now my body is not telling me that! Like I said, it’s a plan and a goal and I’m striving for it. I also want to tell Girlboxing readers, no matter how old you are if you feel that you’re capable of anything you keep going pursuing your dream, because if you don’t you end up saying, “I wish”, “I coulda’ woulda'” and it’s too late. 6. 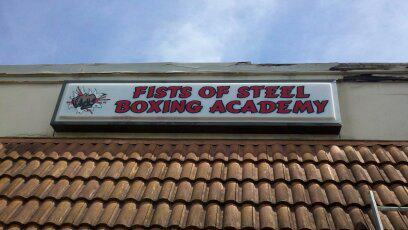 You’ve also had an amazing several months because you started the Fists of Steel Boxing Academy, how is that going? I just started it this past July and it is going great! I love it! With any business it takes a while for it to build, but it is coming along and I’m happy about it. I have an amateur now and I have a pro fighter, I have my kids and I also have classes. I even have a professional football player taking one of my classes and he loves it. My amateur fighter, Rebecca just won a fight at the state level. I was very excited about that and my pro fighter will be fighting on the undercard of my fight against Terri Blair on March 2nd. 7. You’ve been in the sport as a pro since 1997 and you’ve witnessed a lot. 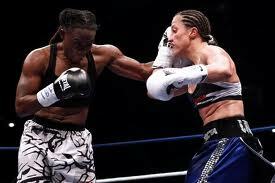 What are the two or three things that have really changed in women’s boxing since then? Well, number one, women will be fighting in the Olympics! That’s huge for women’s boxing! There are more women fighting and it seems that there’s usually one women’s fight on every boxing card these days, especially when it comes to local shows because the women are as good as the men. And more females are getting involved too. When I first started, I went to the amateur shows, but there was no one to fight. Either they weren’t in my weight class or they didn’t have the skills. That’s why I turned Pro. Now the amateur shows are amazing. There are many more women fighting and the turnout is much bigger. We still have a long ways to go, but with the Olympics and with what I’m trying to do, we might get it to the half way point where it’ll tip over and get into the spotlight in a positive way … but from when I first started, there’s a huge, huge improvement. 8. If I mention Chevelle Hallback to a room full of female boxers they swoon! They don’t call you “Fists of Steel” they call you “Abs of Steel.” You mean a lot to the sport and continue to inspire a lot of women from professionals on through “Saturday” boxers. What do you tell your own boxers in the gym to keep them going? First of all, especially when they come in, I ask them, what they want to do and what their goals are. I then tell them what to expect and what the path they’re going to take will be. If they’re there for at least a week, I remind them of their goals and of what they first told me — when I do that I’m talking to them on the inside. It helps people. It is not an easy sport. Sometimes we have to bleed for it. I think that’s the best reward that anyone can have. You say, “I did it,” and no one can take that from you. You can give a person a gold medal, or titles or belts, and they’re going to get old or vanish, but what can never be taken away is that you did it. And that’s what I tell my fighters and that’s what I’ll tell Girlboxing readers. 9. Do you have any closing remarks? Yes. Tell them, Chevelle Hallback is here — and I’m not only doing it for me, but for women’s boxing and for women to do this in the future, “big time”! I’m one of the ones who swoons! Thanks for this awesome article about my FAVE fighter! I’m so jealous of that young amateur training at Chevy’s gym in Florida — how incredible that must be, huh? Tell me about it, Lisa! she is just amazing — and was so generous with her time! I LOOVE BEING HER PUBLICIST !!!!! And I love that you are! Thanks so much for helping make the interview happen! I have known Chevelle for a lot of years….not a better fighter, not a better person in this game! She has game, she has heart…you can’t help but love her. Lori, Thank you so much for your comment and for bring Chevelle that much closer to Girlboxing readers! Best! « Stereotyping women and other issues in the fight game.